I just came across this link via Facebook and it’s pretty cool. The Montgomery County MD Geographic Information Systems (GIS) map viewer. 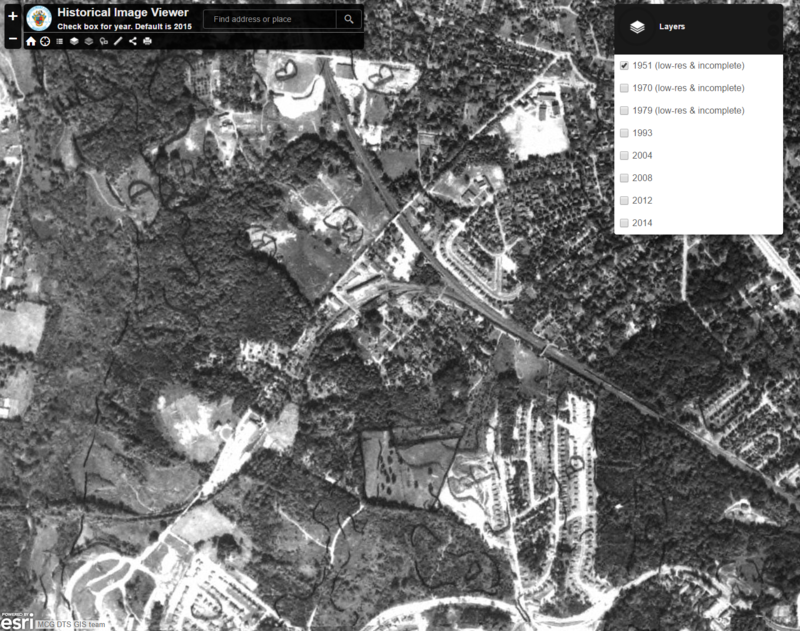 There are many maps available on the site, but this historic aerial collection is particularly interesting. The resolution is not that great, but it suffices. 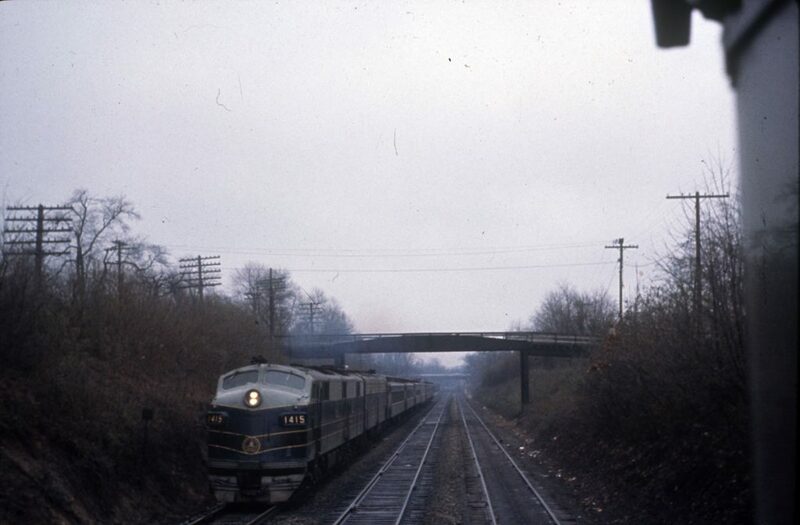 The earliest images are from 1951, and show the Georgetown Branch route quite well. Have a look for yourself! December 28, 1959. B&O E-7A #1415 heads up a race track special, headed Westbound for Charleston, WV. The photographer stands on the front of the Georgetown local, doing its switching before heading down the line to Georgetown. Photographer: Ray Mumford. A sad day, indeed. This has been coming for a while, but is nonetheless tough to swallow. The iconic Talbot Avenue bridge, which has spanned the Metropolitan & Georgetown Branches of the B&O for so many years is closed indefinitely after failing a safety inspection. The bridge has been on the chopping block for a while now, being in the way of the Purple Line construction which is on hold while a lawsuit is reconciled. I, for one, am most sad to see the bridge go because it is so iconic in all of the photos I have collected and seen showing action at Georgetown Junction. The bridge is always there, in the background, off in the distance in the shots of B&O trains switching the Branch or screaming off East or West, hauling passengers or commuters. The bridge witnessed the 1996 tragedy and remained. The bridge has been rebuild after most of the iron rotted away from years and years of salt and weather corroded the supports to frail remnants.